Egg-free and wheat-free bread can be tricky to find as many of the new ‘wave’ of tasty gluten free breads — such as by Warburtons and Genius — contain egg, so finding one that ticks several boxes isn’t easy, and given the movement towards a vegan diet, the additional exclusion of milk is now a requirement for many. Artisan Bread Organic — a number of natural dense GF loaves, made without additives, all of them look vegan and egg-free. Many look to be ‘top 14’ free (some contain GF oats and soya). They operate a sesame free and nut free bakery. Their Gluten-Free Taster Box is a great idea. Also sold by Planet Organic. Asda — several of their own-brand free from loaves, which include seeded white and brown, are suitable for GF vegan diets, and look allergy safe too. BFree Foods — breads, rolls, pittas and wraps, which use gluten-free oats in one of their loaves, but otherwise free of all allergens, and always vegan. An Irish brand, but available in supermarkets in the UK. Genius — their GF bread contains egg, but their wraps don’t, so are vegan suitable and I think are also egg allergy safe. Available in supermarkets. Glutafin — prescriptions GF breads, many of which contain soya, but don’t contain egg or milk. Good Grain Bakery — a brown loaf and a seeded loaf. Organic and vegan. Made in a nut-free factory and looks free of all allergens. Incredible Bakery — a wide selection of interesting breads, including buckwheat, red quinoa, oat and onion and seeds. 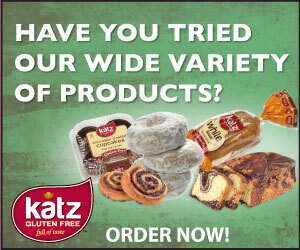 Just Gluten Free Bakery — white and seeded sliced breads and rolls. Promise Gluten Free — do use egg in some products, but their vegan white loaf is suitable. Stocked at Sainsbury’s. Rana’s Bakery — a selection of of fresh sourdough breads, made in south London, including buckwheat, charcoal and ‘nearly rye’. Also make some award-winning bread mixes. Use gluten-free oats in some products, but think otherwise free of the main allergens. Schar — use soya and lupin in some of their GF breads, but no egg or milk. Some products are low FODMAP. Available in supermarkets. Tesco — their own brand Free From White Sliced Bread (400g) is GF, EF, DF and looks free from all major allergens. Warburtons — their GF bread contains egg, but their wraps don’t, so are vegan suitable, but not suitable for egg allergy due to shared facilities. Available in supermarkets.